Final Mission at Mad Catz. Mission Complete. Last night played host to one of the greatest gaming exhibitions of all time. Music sensation, Lupe Fiasco went up against Daigo ‘The Beast’ Umehara in an epic bout to ring in the launch of Capcom’s much anticipated STREET FIGHTER V. How did it go? Read the report below. I saw that the news is out there. I wanted to thank everyone I’ve worked with at Mad Catz over the last 8 years. As you probably have heard. Mad Catz has been restructuring and the company work force has been affected by layoffs. I was laid off last week as a result of this. I have nothing but deep love and admiration for Mad Catz. MCZ is a company that believed in me and a community that I love. Even though everyone knew I was planning on leaving, they decided to take care of me and let me go, which I am very grateful for. Thank you Mad Catz. We grew that brand to be something amazing. I’ll always cherish the memories, knowledge, friendships and connections we’ve shared. I wish Mad Catz nothing but the best in the future. I’ll still be around gaming. I’ll still be involved with the fighting game community. What’s next? You’ll find out soon. Thanks everyone for the love and support over the past few years. Kickin’ it… Like Chun-Li… Yup, yup, yup. 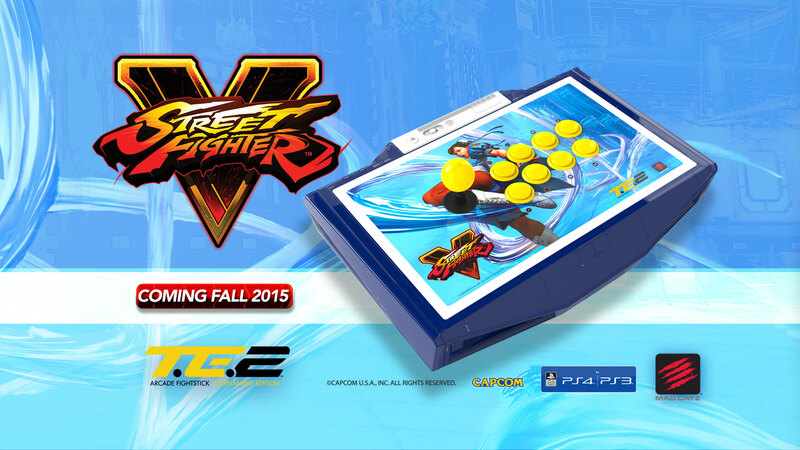 The upcoming Street Fighter V ‘Chun-Li’ Arcade FightStick TE2 from Mad Catz was stealthily teased at the recent Capcom/Street Fighter panels at Comic-Con 2015. This is a preview product for our imminent SFV range of products. It’s also the second in the ‘retro’ throwback series of arcade sticks that we’ve been releasing at Mad Catz. The first was the ‘RIVALS’ TE2, which was a retro throwback to the 2009 Comic-Con TE. More coming soon!